RESOUND is the debut collaboration of Sonic Parlour (theremin), Constance Humphries (performance), and Denise Carbonell (costume). Using intuitive methods to react and create, Sonic Parlour and Humphries generate a dynamic of push and pull, cause and effect. The music on Daniel Levin's Living documents the exploration of a unique creative and psychological environment. Living employs nearly every conceivable sound available using a cello. It exists along the full continuum of possible timbres, from scratches and scrapes with no identifiable pitch to lyrical bowed melodies. Ideas appear as kinetic sculptures related to one another in intimate and varied ways, sometimes contrapuntally, sometimes through juxtaposition or opposition, either repeated or as isolated events. Born in Burlington, Vermont, Daniel Levin began playing the cello at the age of six. In 2001, he graduated with a degree in Jazz Studies from the New England Conservatory of Music and arrived on the New York City jazz scene shortly thereafter. Since then, Daniel has developed his own distinctive voice as a cellist, improviser, and composer. 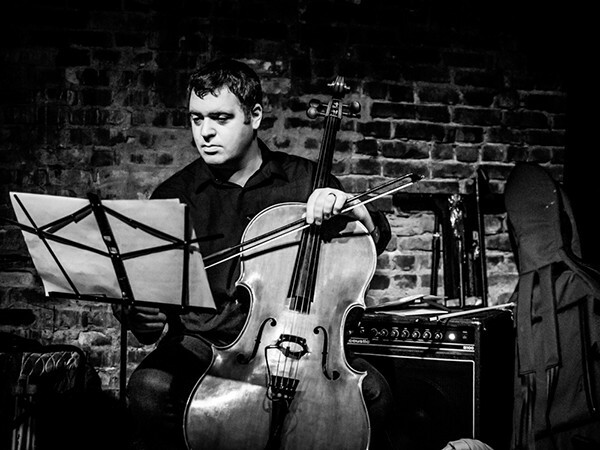 Ed Hazell noted upon release of Levin’s first record as a leader, “Cellist Daniel Levin is a major new voice on his instrument and in improvised music.” Elements of European classical music, American jazz, microtonal and new music, and European free improvisation all figure prominently in his unique sound.